With over 20 years' combined experience helping truckers protect their operations, the staff here at Bayou Insurance has the knowledge and experience you need when selecting a trusted insurance advisor. We are not here to simply sell you a policy. We consider ourselves partners in your business. You will get a comprehensive protection plan from us that is tailored to protect your operations exposures. Every Texas trucking operation is different, your coverage should be too. We only work with A.M Best A or better carriers. When working with Bayou Insurance, you don’t have to worry about coverage when the unfortunate happens. What Trucking Insurance do I need? 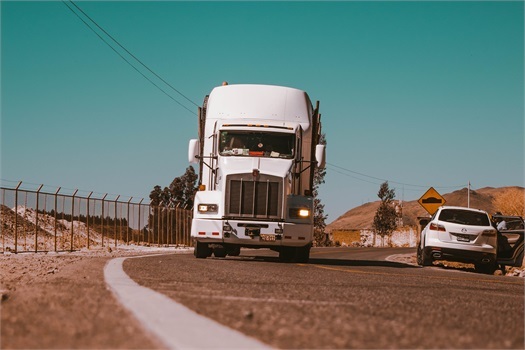 Although this is probably the most important type of financial protection for trucking companies and self-employed rig owners and operators, there are, of course, many more elements of your operation that should be covered. Coverage for damage to your own vehicle(s) -- essential for ensuring you can stay on the road after an accident. This protection may include the cost of leasing a replacement vehicle. Uninsured and underinsured driver insurance. Although this coverage is not mandatory in Texas, an estimated 1 in 5 autos on our roads are being driven by uninsured motorists. If you don’t have this cover and an uninsured or underinsured driver involves you in an accident, you won’t have enough financial protection. Cargo insurance to protect against physical damage or loss of the products you're transporting. The higher the value of your cargo, the more essential this coverage is. Some distributors may carry their own coverage. Otherwise, they will almost certainly insist that you have it. Umbrella coverage, which lifts the limit on certain other insurance policies. It kicks in after those limits have been reached and provides a valuable safety net in the event of high claims and settlements. General liability – This covers risks associated with your trucking operation that the truck/trailer don’t cause. Which coverages you select and how much it costs naturally depend on the type of transportation service you provide. Rates may be affected by whether you operate just within the state or interstate, the size, weight and type of truck, the type and value of cargo you carry, your history of claims, the amount of deductible you pay, the liability and other limits you select -- and even the company you insure with. What Kind of Vehicles are Covered by Trucking Insurance? Most commercial vehicles can be insured through specialist trucking insurers. Examples would be semi-truck insurance, flat beds, car carriers, livestock transporters, oil and hazardous material transportation, logging trucks, box trucks, garbage trucks, refrigerated transport, cement carriers, and reefers. Subcontracted and non-owned vehicles can also be covered. What Should I Look for In Trucking Insurance Specialist? Providing the right coverage at the right price -- as well as securing authority and filing the correct DOT forms -- is a specialist business that relies on a limited number of expert and experienced agents in the state, like Bayou Insurance. Experience and expertise in the commercial truck insurance sector, including familiarity with all filing requirements. Knowledgeable background for dealing with state, interstate and federal regulatory requirements. The ability to negotiate exceptional and competitive rates via top-class, reputable insurers through personal and direct contact with them. Flexible payment options and premium payment terms. Sound advice on risk management for your trucking business. Efficiency in supporting you with advocacy and advice in the event of your having to make a claim. If you want to save yourself time and money, why not contact Bayou Insurance now to take advantage of these benefits and much more?